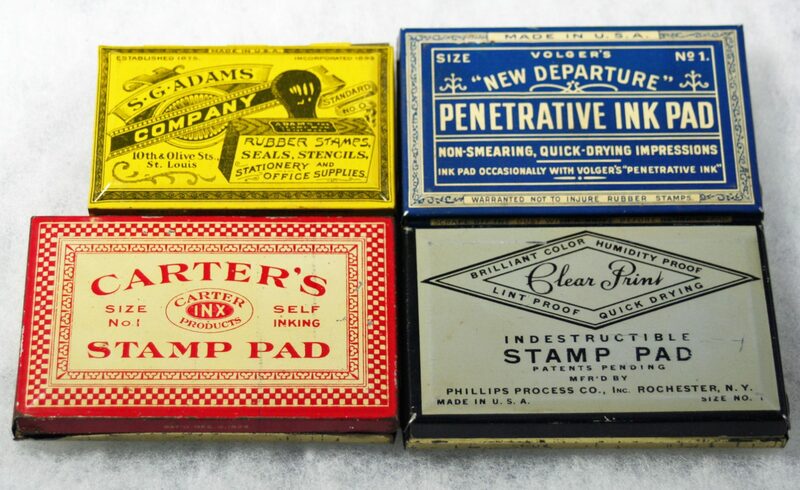 This is a small category as it is limited to stamp pads whose companies also produced typewriter ribbon tins. There are only 4 examples here. Many stamp pads were made but not all were ribbon tin makers.